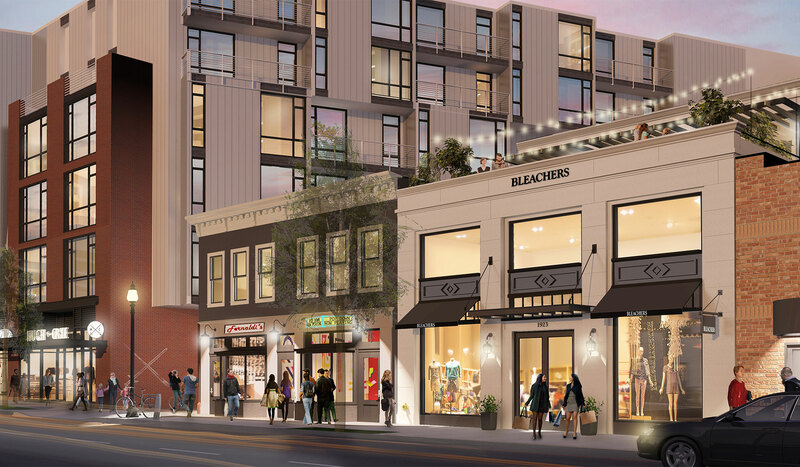 Referencing the scale and character of historic neighboring buildings, this proposed stand-alone retail building was designed for a major DC developer on a currently vacant lot. Meant to suit a wide variety of future tenants, the ground floor showcases large display windows and a high ceiling. A rooftop deck can be used for retail store events, and is ideal for a restaurant or bar tenant.